So stressed, off to Sweden today with a mountain of presents, have no idea how to fit it all into my bags. 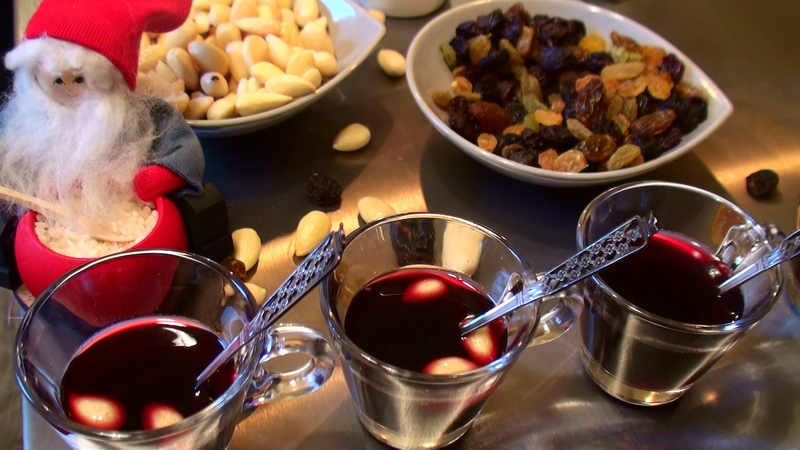 This is a recipe for Mulled Wine Swedish Style, stronger and sweeter and served in small glasses with blanched almonds and raisins. Now off to work before wrestling with my packing. (Have never banged out a video/post so quick!). Wishing you all a relaxing and wonderful Christmas!! Crush the cardamoms, break the cinnamon stick and grate an oragne and open the vanilla pod, place it all in a glass jar with a lid. Add the ginger, cloves and vodka. The jar goes in the fridge over night. The next day: Use a sieve to remove the spices place in a pan together with the wine and the sugar. Heat up, but don’t let it boil. I’m very happy to find your page about glogg. I write about the movie “Frozen” in my blog post. In the movie, Prince Hans said “The castle is open. So, I wanted to know what glogg is all about. Thank you for your easy-to-follow explanation. 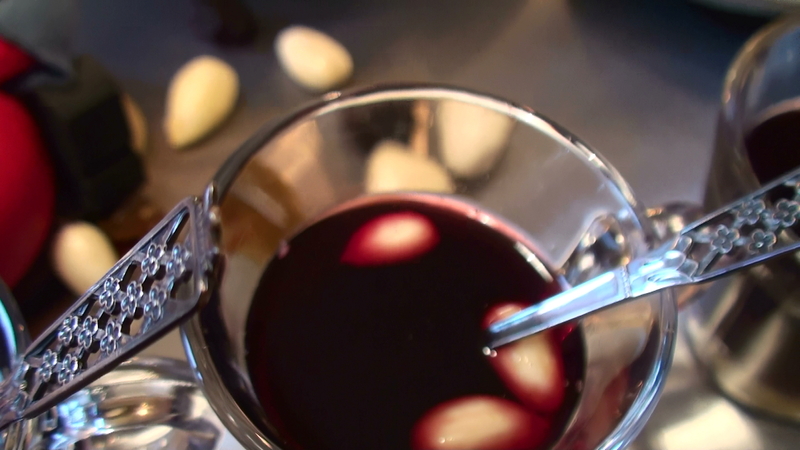 I would like to try glogg! My 4- and 7-year-old sons also love Frozen. Wishing you a great weekend, too!